Started back in 1998, the San Diego Rock ‘n’ Roll Marathon/Half Marathon is the inaugural race in the “Rock ‘n’ Roll” series of races owned by Competitor Group, Inc. That race series has grown considerably since then and is truly international, currently with 28 races slated on the calendar. But San Diego is their flagship race and attracts almost 30,000 runners (and spectators) to the Southern tip of California each June.This year’s race again featured both the full marathon (16,850 finishers) and half marathon distances (5285 finishers) with an optional relay in the half marathon distance. Having run the half marathon back in 2010, I was anxious to re-visit San Diego (a beautiful city) and take a crack at the full 26.2. As many runners know, costs for races in the “Rock ‘n’ Roll” series tend to be on the expensive side, so it’s best to register as early as possible. The Rock ‘n’ Roll series does offer discounts, such as the regular “$13 off on the 13th of the month,” so be sure to check Facebook and other social media (as well as their website) for savings. Another interesting (and more recent trend) for the Rock ‘n’ Roll series is the introduction of “Tour passes” and the “Tourpass 3-pack.” I opted for the 3-pack and for $199 (plus an additional fee) I got three domestic races of my choice. I chose San Diego, Los Angeles and Las Vegas. 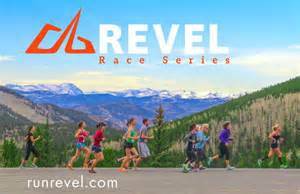 If you run numerous races in the Rock ‘n’ Roll series, it’s worth checking out. 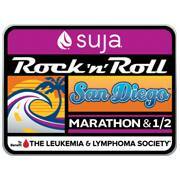 As for packet pick-up, the San Diego Rock ‘n’ Roll Marathon utilizes the convention center, which is easily accessible and located on the water near the Gaslamp District. In another month and a half the convention center will be overflowing with fanboys as it hosts the annual San Diego ComicCon, but it’s perfectly suited for the race Expo. Parking on site was a pricey $15, so if you don’t mind walking, you can find cheaper rates at parking meters and lots along the Gaslamp District (it’s also a worthwhile chance to check out the local sights). The expo itself is definitely one of the bigger and better ones out there, featuring a large variety of vendors showing off their latest goods. It was quick and easy to pick up your bib and T-shirt, giving you plenty of time to wander about the expo sampling the samples and to pick up some good runner’s swag. With the race basically being a point-to-point affair, it takes a little planning to decide how you want to get to your destination. Since the race starts at a park on Sixth avenue, parking is hard to come by. Your best bet is to park at Qualcomm Stadium (or another lot away from downtown) and take the trolley ($6 for a day pass) to Fifth Street. I caught the “special line” trolley near my hotel that took us to the trolley stop nearest the start line and had the chance to chat up fellow runners en route. You other option is to pick a hotel near the start and hoof it. Either way, expect a bit of a walk to get to the start (consider it a warm-up). Since the race finishes near Petco Park, you can have your friends/family opt to meet you down there (just be sure they’re aware of congestion and road closures). 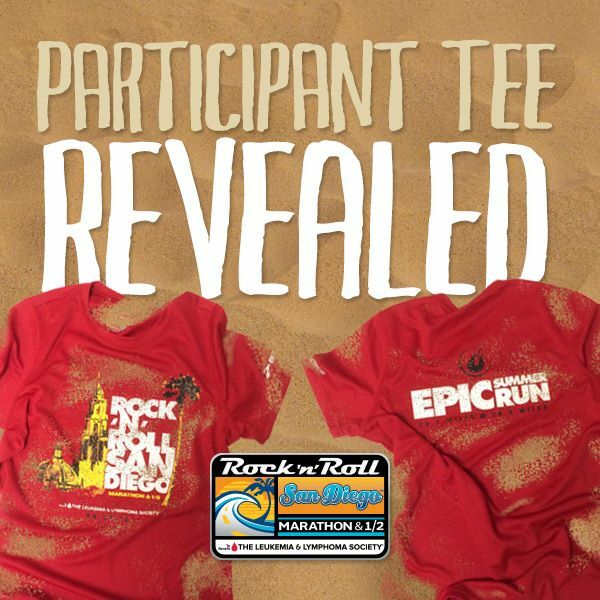 The San Diego Rock ‘n’ Roll Marathon featured a single shirt for the marathon/half marathon distances. This year’s shirt was red and designed by Brooks and fit pretty true to size. 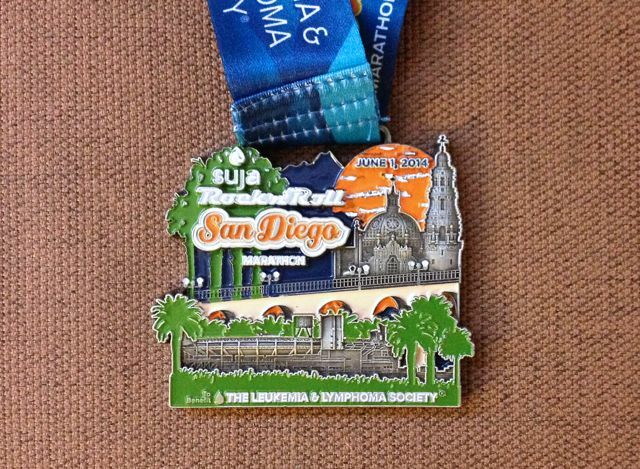 The race medal featured Petco Park as well as some of San Diego’s classic architecture. While the shape and size of the medals were uniform across the two distances, each race featured a different color scheme. The full marathon was primarily green and orange with a blue ribbon, while the half marathon utilized yellow and blue along with a yellow ribbon. It’s a nice medal, but I’ve seen better from Rock ‘n’ Roll in other races. I also liked the colors on the half marathon medal more than the full. I guess it felt more “San Diego” (if you get my drift). Oh and for those people who plan to run numerous races in the Rock ‘n’ Roll series, remember you are eligible to earn additional medals in their “Heavy Medal” series. You can check the “Rock ‘n’ Roll” series website for details. Note: even if you get a Tourpass or Tourpass 3-pack, you still need to register for the heavy medal program separately in order to qualify (a bit of an oversight on Rock ‘n’ Roll’s part). 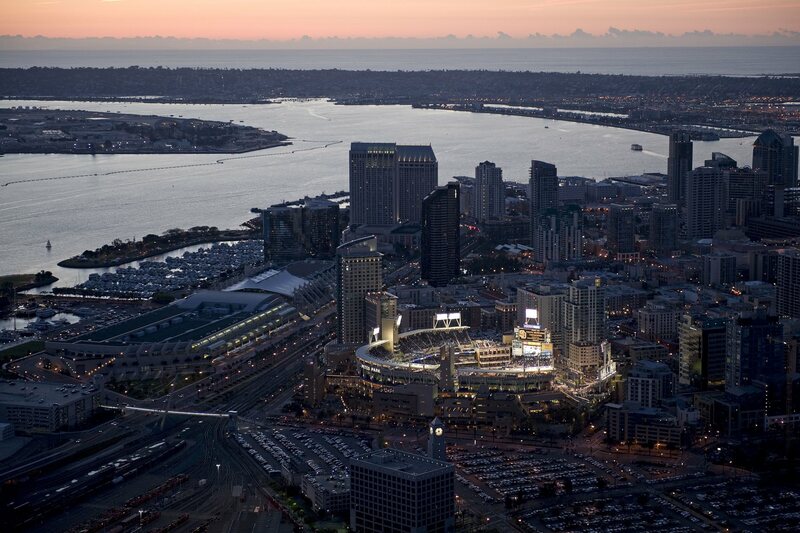 As mentioned before, the San Diego Rock ‘n’ Roll Marathon/Half is a point-to-point race with both distances starting in the park at Sixth Street and ending near Petco Park. Unlike most other races that feature different distances, the San Diego Rock ‘n’ Roll has an almost entirely different course for the full marathon than it does for the half. The races both share the first two or so miles before splitting and then the full marathon doesn’t connect to the half marathon course until the last few miles. If you want to know more about the half marathon course, please check with one of the other reviews for more specifics as I’ll concentrate on the full course. Unfortunately, for all of it’s positives, The San Diego Rock ‘n’ Roll Marathon’s biggest glaring weakness is its course. If a marathon is supposed to “represent” a city, it should really give you the feel of the city. Chicago, New York, Los Angeles (and plenty of others) present courses that take you near city landmarks or and through well-known neighborhoods. I did not feel like I was seeing the best of what San Diego has to offer. While we ran past Petco Park early on and did a stint through little Italy, the course felt more like it was just trying to meet the 26.2 mile requirement as opposed to tapping into the heart of the city. It would have been great to run along near the water (which we didn’t) or through more downtown streets. Instead, we spent a lot of the race running parallel to the freeway, going through nondescript city neighborhoods, along bike paths and then spending several miles running on the 163 freeway. In addition, we didn’t always have the street to ourselves as traffic was flowing in the opposite direction and we were herded onto one half of the street. At one point we were basically pushed onto the bike path and had to decide whether to navigate that or jump onto the curb. Also, at one point the runners had to duck under the tape barricade as all of us somehow ended up on the opposite side of the barricade (it seemed to be set up a little askew). For a big city race, this was definitely NOT indicative of a major race. I love the city of San Diego, but this course does not do it justice. And for a “flagship” race, the Rock ‘n’ Roll series should be able to do better. I do know the course for the race was changed in 2010 and then again in 2013 to its current configuration. Well, it desperately needs to be changed again. Another bit of a letdown here. The Rock ‘n’ Roll series prides itself on bringing music to the masses by offering up bands throughout the course. It’s a nice idea on paper that doesn’t always pan out so well in practice. Runners were treated to local bands throughout the marathon, although the quality of the groups varied greatly. I did enjoy the musical interlude (I took my headphones off whenever I approached a live band) but this little treat also backfired at one point. During the mile-long killer hill at the 20-mile mark, runners saw a sign that said the “mile of music.” So I figured we’d have a great group or groups to help us power up that large incline. Nope. Instead, runners were treated to an unmanned truck with some speakers loaded on the back blaring DJ music. Woo-hoo. If you’re touting yourself as the “Rock ‘n’ Roll” series let’s get some more “real” music out there. Again this is the Rock ‘n’ Roll series crown jewel race, so you figured it’d be overflowing with support. Not so much. Early on during the race there were plenty of water stations and gatorade stations… Gu was also available at intervals along the course. But the services seemed to be in shorter supply in the later stages of the race (and basically non-existent during that uncomfortable stretch on the freeway). And while I didn’t need them during the race, there did also seem to be a shortage of porta potties along the course. I will definitely give kudos to whoever came up with the idea of handing out cold water sponges… this happened twice in the second half of the race and was a welcome touch. Medical services were fortunately present throughout the race with numerous tents, cyclists and “running guards” checking up on racers. I also saw a few EMTs whipping around on electric scooter contraptions… I briefly considered grabbing one and whizzing to the finish line. Mile markers were present and properly marked off (a problem for some other races) and each mile marker did have an accompanying digital display (although the glaring sun made some of them hard to read). One bit of a personal gripe has to do with Rock ‘n’ Roll’s runner tracking. We’ve come to expect runner tracking at all but the smallest races, but it seems wrong to charge runners $5 so their friends/family can receive text updates… especially when most races do it for FREE. And if you’re going to charge me $5, then the service should be top notch. The last runner update was at the 20-mile mark, which is almost 45 min- 1 hour from the finish. Since most of us have friends or family waiting on us, how about a text at the 40K or 25 mile mark to give them a heads-up that we’re almost there and they should start looking at the finish line to see us. Seems like R ‘n’ R dropped the ball on this one. Now for all of its shortcomings course wise, the San Diego Rock ‘n’ Roll Marathon does know how to throw a party. The finish line was stocked with plenty of treats for runners (gatorade, chocolate milk, fruit, cold water and snacks). I just wish they gave us a bag to gather our goodies. Oh, and also present were the ice cold/soaking wet hand towels which feel like a bit of heaven after pounding pavement for 26.2 miles. Gear check was fairly well organized and there was a decent area for runners to re-unite with their family/friends. And for those who wanted to hang around afterward, there was a cool concert playing over by Petco Park. Unfortunately, the timing of the show seemed to favor the half-marathon runners so us full marathon runners either need to get considerably faster or get a friend to tape it. Sure, not every marathon is going to be a grand slam event, but I do have to say that I was a bit disappointed with the San Diego Rock ‘n’ Roll Marathon. If this was a new event or a smaller race, I would have easily forgiven some of its shortcomings. But this race is the cornerstone of the Rock ‘n’ Roll series. They’ve got plenty of experience in putting on races (so kinks should be worked out) and the prices they charge should help guarantee an A-level experience in ever part of the marathon. Unfortunately, the weak course layout gives me pause about running the full marathon here again. I really like visiting San Diego and welcome any opportunity to head south and check it out (even worth dealing with that icky traffic on the I-5). But the gang at Competitor Group really needs to take another crack at that full marathon course. Perhaps the half marathon is the way to go as the course may be the better of the two and at least I’ll finish in time for the concert at the end. Posted on June 3, 2014, in General, Race Review and tagged Competitor Group, San Diego Rock 'n' Roll Marathon. Bookmark the permalink. 1 Comment. I am glad that you clarified the “Petco Park” finish line! I misunderstood from a fellow marathoner a while back who suggested the finish line(s) were near “Petco”! I had visions of RNR being in the pocket of Petco (Moreso than any marathon venue I had heard of).I was also confused about how a parking lot could accommodate that many participants family, support staff and store customers. In any case, the removal of the finish line from Marine Corps Recruit Depot was one of my motivations to “stand down” (forgo) the event. I ran the (marathon) three times from 2006-2008. (I am a former Marine. I graduated on the parade deck there on January 4th 1985. I spent many hours of training between October and December 1984 ).But I digress. In terms of RNR San Diego, through 2008, the half had not been yet incorporated. I surmise that the larger marathon field can be accounted for in considering that this was originally only a full and the signature race in the series. (On an interesting unrelated point San Diego and the Rock and Roll series was a Phoenix that rose from the ashes, having ran out of water in the inaugural year, they came back with a passion.) In any case thanks for the write up-it gave me a good feel for the changes. By the way, in terms of the course, one of the things I recall during the years: running right through the heart of downtown very early in the race; a ghost town. Spectators that were there were quite non plussed about being there. A couple of us yelled /cat called to solicit the crowd to motivate us. So we did run through down town, but it was nothing to write home no “wall-to-wall fans,” way too early on a Sunday to expect boisterous reactions.